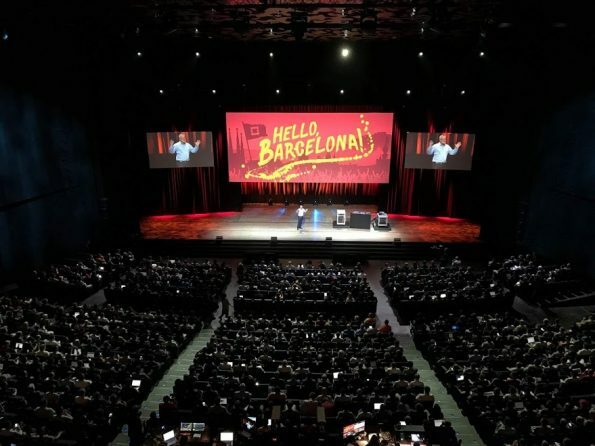 Former OpenStack intern and current OpenStack contributor Nisha Yadav recounts her experience at the Barcelona Summit and provides some tips on how you can prep for Boston. Wondering what’s in store for the OpenStack Summit Boston? Well, apart from attending dozens of sessions led by professionals in the industry, meeting a ton of new people and taking home a lot of great swag, you’ll certainly bring home a great deal of thoughts and become capable of contributing more efficiently. 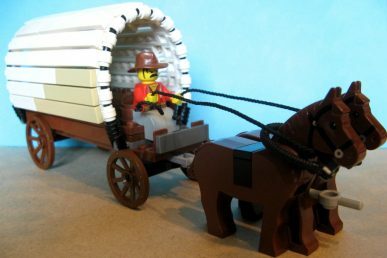 As per reports, around 50 – 60 percent of OpenStack summit attendees are first-timers. 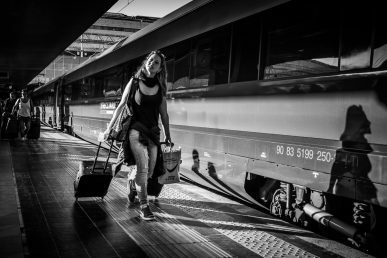 Being a beneficiary of the travel support program and a speaker at the Summit Barcelona, I hope this piece conveys my enriching journey and distances you from feeling overwhelmed in the whirlwind of activities. 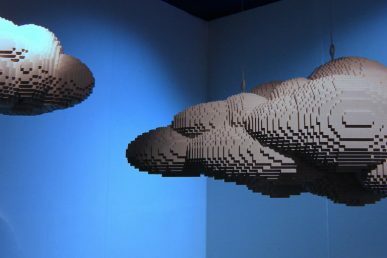 The six-month release cycle and subsequent Summit gives OpenStack contributors, vendors and users a real-time view of growth and change, allowing for subtle changes that can often be difficult to notice. I participated in the main conference and the design summit focusing mostly on the Keystone project. But before I breakdown what I did, I’d like to extend many thanks to all those who planned, participated in and helped make this last summit a tremendous event. Pre-game: I didn’t want to be stuck at the registration desk while everyone else was off to the races, so that’s the first thing I did after arriving at the venue. Being a speaker, I got an extra edge and, in no time, I was holding my access pass along with an OpenStack t-shirt. I then familiarized myself with the conference space using the venue map so that I didn’t get lost and get to sessions late. I then headed to the Pre-Summit Marketplace Mixer along with fellow Outreachy interns to mix, mingle and checkout the sponsor booths. This was the first time I met my coordinator, Victoria Martínez de la Cruz and my mentor, Samuel de Medeiros Queiroz in person and my enthusiasm skyrocketed. With regard to the summit schedule, I have to say that there were many tempting talks, but it was physically impossible to attend them all, and it probably wasn’t a good idea to chase everything that glittered. To tackle this issue, I planned my schedule in advance and marked the sessions I couldn’t afford to miss on the OpenStack Foundation Summit app. Thankfully, the summit organizers put the videos up on Youtube and on the OpenStack website in a timely manner. At that point, it was up to me to determine what talks were super important for me to see in real time. While pin-pointing the sessions, I considered both the speaker and the subject matter. Also, highly tactical sessions are generally useful to attend regardless of who leads them. However, sessions not directly related to one’s profession can be valuable as well if they’re led by an industry figure one is angling to meet. On the first day, I jumped out of bed quite early to attend the Speed Mentoring session organized by the Women of OpenStack. It was a great way to get to know experienced people in the OpenStack community. The session comprised of both career and technical mentoring. The amazing experience encouraged me to join the Women of OpenStack session the following day, where we heard lightning talks and broke into small groups to network and discuss the key messages from those talks (big thanks to Emily Hugenbruch, Nithya Ruff and Jessica Murillo for their valuable insights). While heading towards the keynote session, I felt overwhelmed with joy to be a part of the OpenStack community. The speeches were amazing with cool demonstrations of technology, sharing great customer stories as well as insight from vendors about what makes an OpenStack deployment successful. I proceeded to the Marketplace for some snacks and grabbed more swag. Many companies had a “We are Hiring” tag on their hoardings, so I discussed the ins and outs of the respective roles with them and even handed over my resume to stay in touch. 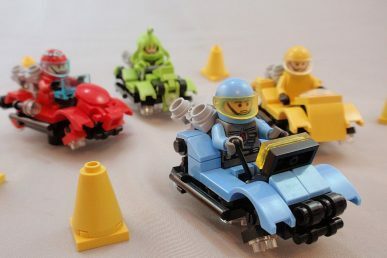 The biggest takeaways from the sessions I attended in subsequent days entailed an increased interest in the identity service and gaining practical knowledge in sessions like “Nailing Your Next OpenStack Job Interview” and “Effective Code Review“. I also found the “Pushing Your QA Upstream” and “I Found a Security Bug: What Happens Next?” sessions quite useful. Attending the hands-on workshop on learning to debug OpenStack code with the Python Debugger and PyCharm was an unmatched experience. To wrap up, every talk I attended had something to offer, be it an intriguing or fascinating idea or a tactic that comes in handy. During design sessions, we sat together at one table and focused on the most important aspects and plans for the next OpenStack release. The topics ranged from discussions about what can be done to make code more robust and stable to discussions on how we can make the lives of operators easier. Things ran smoothly in these sessions as everybody was in one room, focusing on a single topic. Lastly, I must plug my own foray into the conference talk schedule. I had a blast talking about OpenStack-Outreachy internships. The talk was intended for people who want to become a better community member along with those willing to start contributing or mentoring. I am deeply grateful to my co-presenters, Victoria and Samuel, whom I have known for nearly two years now. But it’s not just the formal talks that are the best part of a conference. The best parts of a conference include meeting a new person who might be able to help you out with that sticky problem, catching up with old friends or having the opportunity to just geek out for a little while over a nice meal and maybe a drink or two with the people who once helped you submit a patch (Tip: It’s a good idea to contact those you want to meet before the conference. This way you’ll set yourself apart by engaging that person in a casual meeting which isn’t distracted by throngs of people). Also, don’t forget that, at around 6 p.m., almost all the sessions wind up, so utilize this time to roam around the city. You may even consider extending your trip by a day or two to visit some famous tourist destinations nearby. Were you also there at the Barcelona Summit? I would love to hear about your experience in the comment section below. Stay tuned for more interesting updates and development in the world of OpenStack. This post first appeared on Nisha Yadav’s blog. Superuser is always interested in community content, email: [email protected]. Key contributors can apply for travel, hotel and conference grants to attend the Project Team Gathering and the Vancouver Summit. Deadlines are January 25 (PTG) and March 22 (Summit). Key contributors from 19 countries attended the recent OpenStack Summit in Austin. Find out how the Travel Support Program could be your ticket to Barcelona. “OpenStack is great for people who want to make a difference,” says Vitrage PTL Ifat Afek.